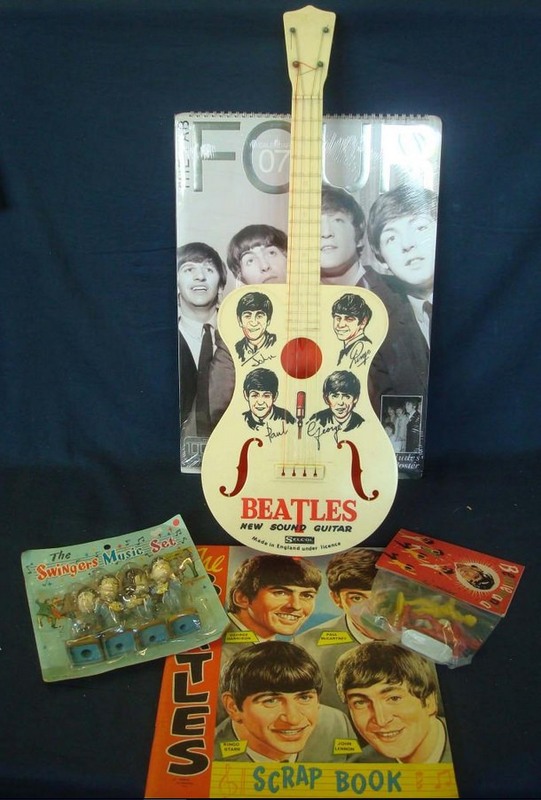 Just been having a good scout through the "Beatles Marketplace" web site & it instantly reminded me just how much Beatles related crap was offered back in the day. I couldn't help laughing at the "Easy to enter Woman" competition though! And Beatles collectibles seem to have the unique facet of making early mini tuning parts look quite an affordable hobby. If you read Pattie Boyd's autobiog she very clearly says that Harrison bought her an orange (Radford) Cooper S in 1965 for her 21st birthday. The car George is driving in the previous photo, the car pictured here parked outside their house some three years later, and it's in the Brydor ledger. Well done Pete, what an amazing survival, thankfully somebody had the foresight to hang on to this all those years ago. Maybe even be able to quell some of the urban myths with it. And who knows uncover unknown cars maybe. The blue car that Macca is getting into MIGHT well have been George Harrison's car because the Peter Harrison blue Radford 998 Cooper was originally ordered for and purchased through Brydor by George himself. The car changed ownership to his brother Peter a whole year after registration, the car being the 3rd Beatles related Radford Mini to be delivered and so maybe Pauline Harrison's account may not be acurate that it was a brand new car when they got it. The only fly in that particular ointment is the apparent lack of a parking light at the top of the B post in the Macca photo which Peter Harrison's car does have. More digging to be done on that but with Pattie's car now confirmed as the orange October '65 registered Cooper S 'GUU' it does leave the claim for the black car currently in existance being an ex Boyd car looking a bit puzzling. I did always wonder where the proof was for that car, despite a five page article in Mini World saying it was Boyd's(!!) but the Brydor ledger doesn't help here because the car predates Brian Epstein Automobiles by six months. Boyd did meet Harrison during filming for A Hard Days Night in March '64 , a month or two before the black Radford was registered but by October had bought her the orange one, which she wouldn't have needed if she already had a new one five months previous?? The link as I understand it to the black one was always an anecdotal conversation about a previous owner seeing her name on a logbook but that doesn't really prove anything, though who's to say some evidence won't be found in the future. Boyd herself could but this to bed but despite several efforts to get a reply non has arrived so far! Could she even afford a brand new Radford Mini Cooper as an unknown model at the age of 20 in May 1964? I doubt it! My late father owned a toyshop in Tooting High Street, South London in the 1960's and stocked alot of what is now highly collectible Beatles memrobillia. My brothers and I all received black plastic Beatles wigs one Christmas and I still have my original plastic New Sound Beatles Guitar below with no broken strings! Vectis auctions have one of those Selco Beatles Guitars in one of their sales next week. They do turn up now and again. A local auction house had a Hofner bass as used by Paul in the 60s, it had a 4 figure estimate and did not sell. The usual price for one of these is around £750 for those who have the wig, the suit and want to stand in front of the mirror dreaming. W&P modified car coming to the Coys Xmas sale.